I am new to the power of healing crystals and I have purchased several crystal pendants. Is it okay to wear more than one crystal at a time and are there any negatives to combining certain crystals? Please advise if I am doing wrong. Thank you for your inquiry. 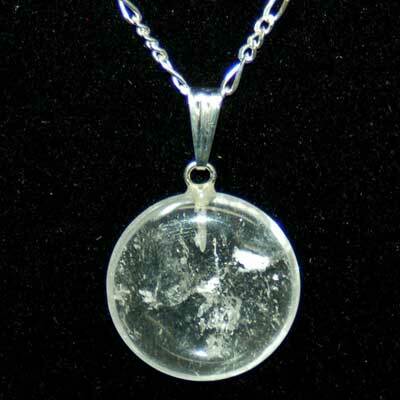 It is okay to wear more than one crystal pendant at a time as long as they work well energetically. For example if you wanted to use Clear Quartz with any other crystal, that will work, because Clear Quartz will amplify any other crystal. Another idea is to use all with a similar theme like protection. If wearing different protection crystals, you could wear Black Tourmaline with Onyx and Obsidian. Wearing different colors of one type of crystal works well too. You may wish to try wearing all different colors of Tourmaline at one time and see how that feels. Enjoy your pendants and experiment with them. It is the best way to see what works best together.